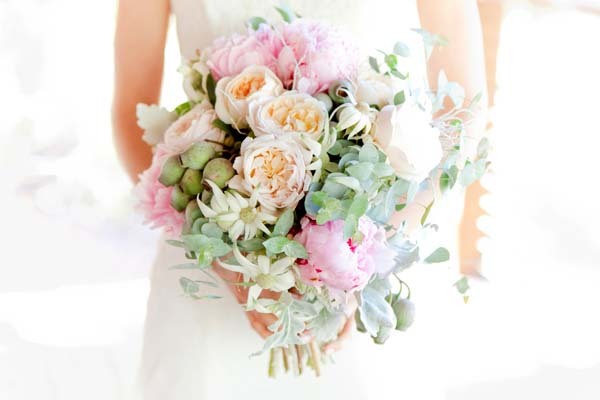 Summer really is the most exciting time for breathtaking blooms! 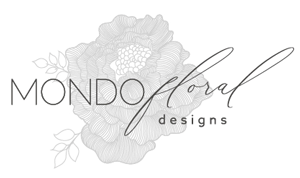 When I think about what is available I really go weak at the knees! 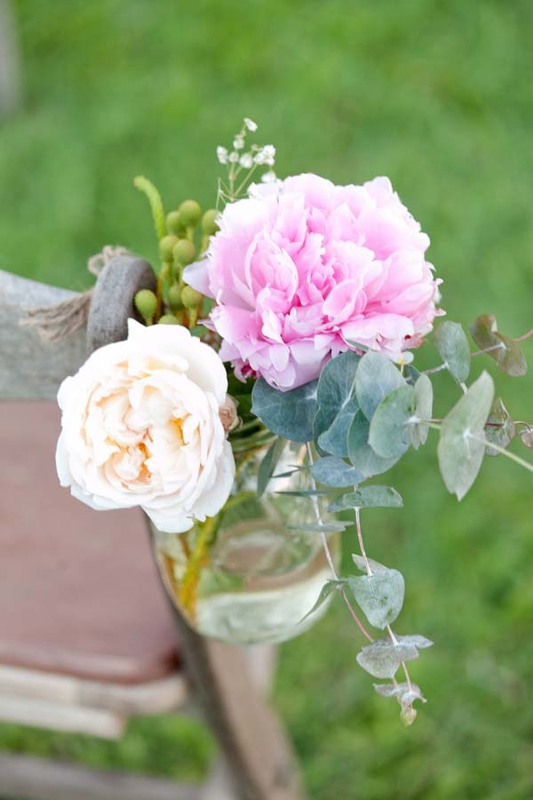 Some of my most loved flowers strut their special stuff in the glorious months of summer, including peonies, David Austin roses and hydrangea, oooh it’s a gorgeous time for floral inspiration. 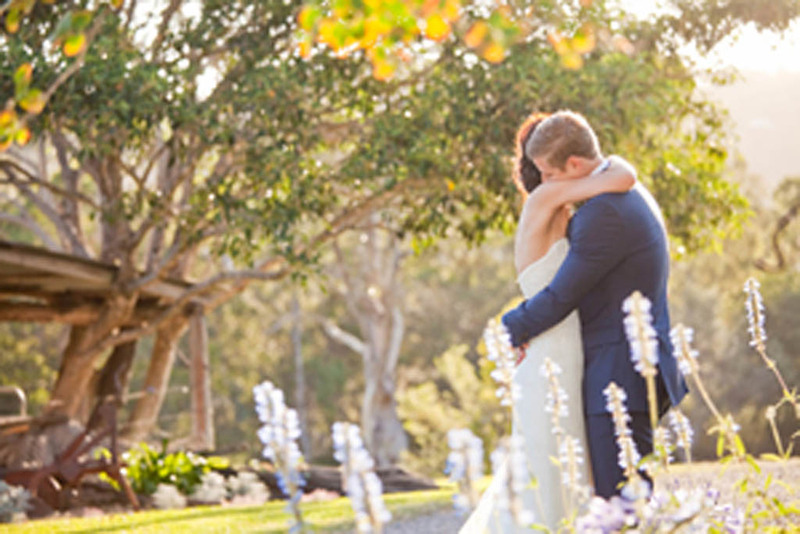 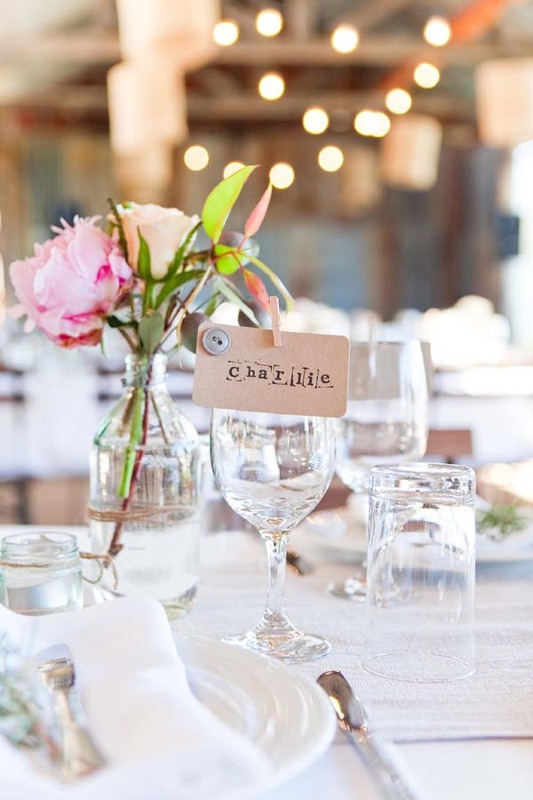 We had so much fun creating a rustic yet elegantly styled floral concept for Rebecca’s wedding held at Yandina Station late last year. 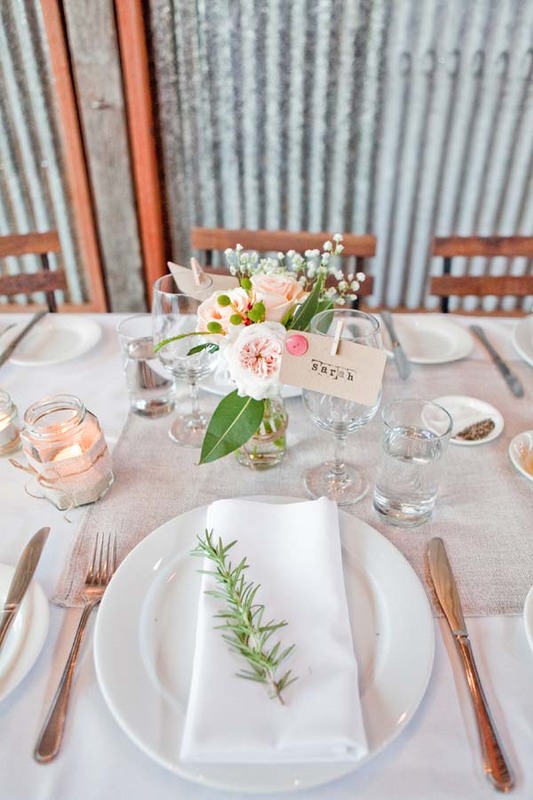 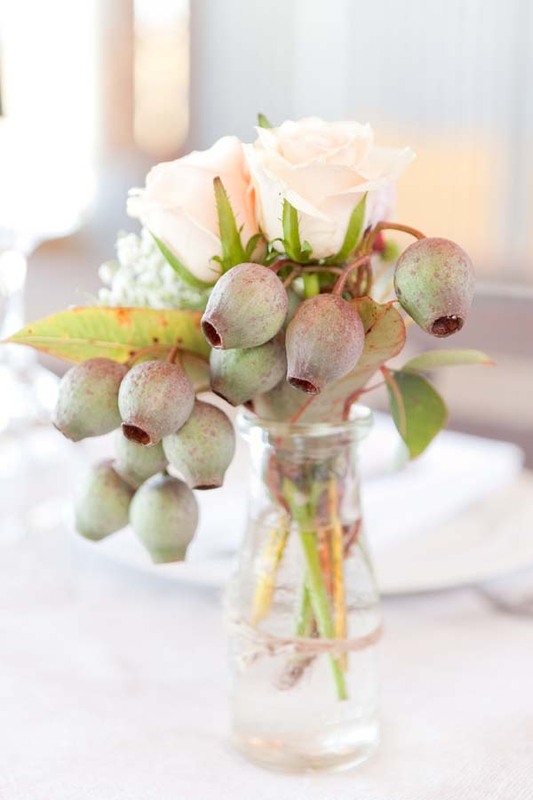 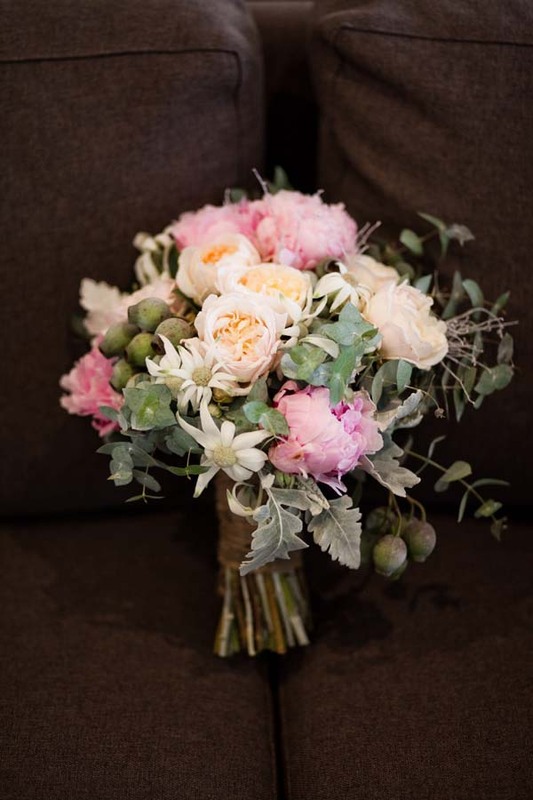 Taking inspiration from the glorious surroundings on the rural property we combined the luxury of David Austin roses and peonies, with the rustic textures of flannel flower, gum nuts and eucalypt foliage’s, and oh my goodness it was pure prettiness, and with so much country farmhouse LOVE! 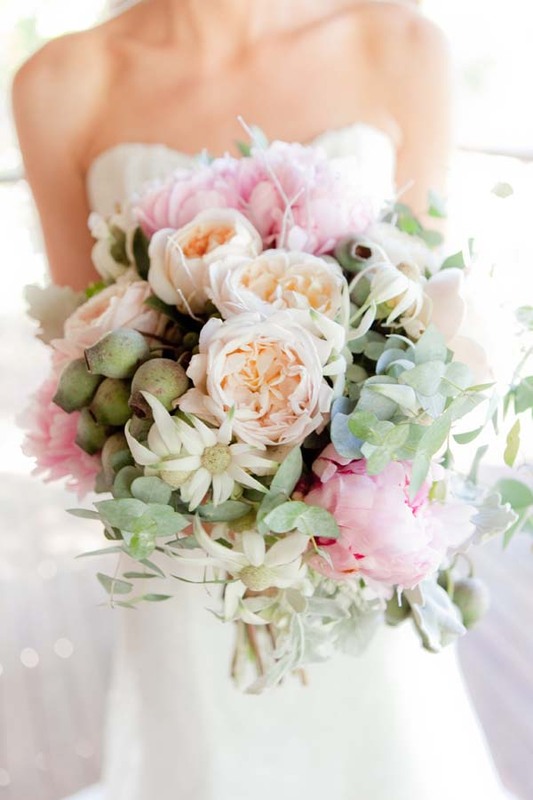 We created a bridal bouquet for Rebecca that combined all of those special blooms, and showcasing a colour palette that featured soft pink, peach and blush, the pretty petals of the peonies and David Austin rose blooms were beautifully accented by the silvery grey tones of the foliage’s and native fillers. 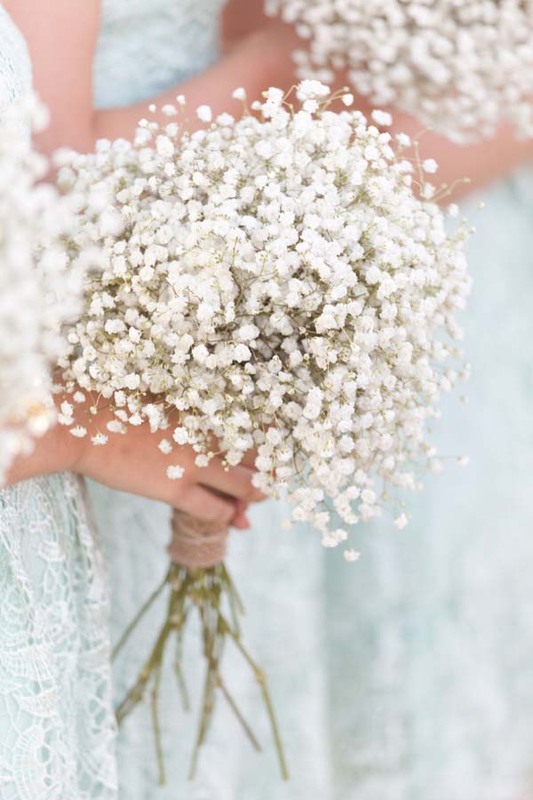 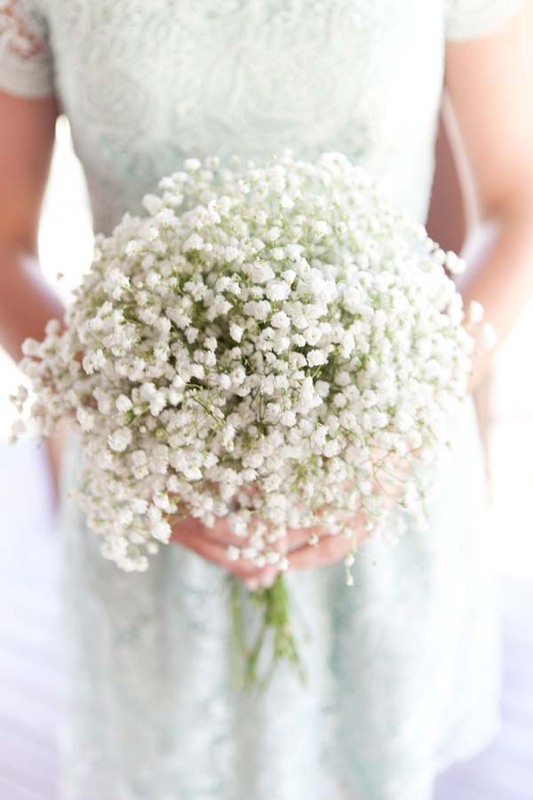 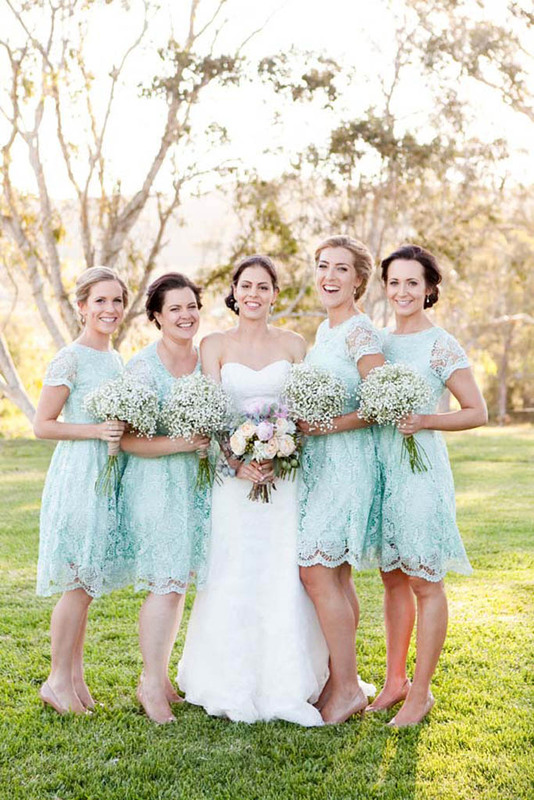 The bridesmaids gowns were a mint lace, oh they were so very sweet, and lush posies of baby’s breath with twine finishes seemed like the perfect design to showcase these vintage inspired bridesmaids gowns! 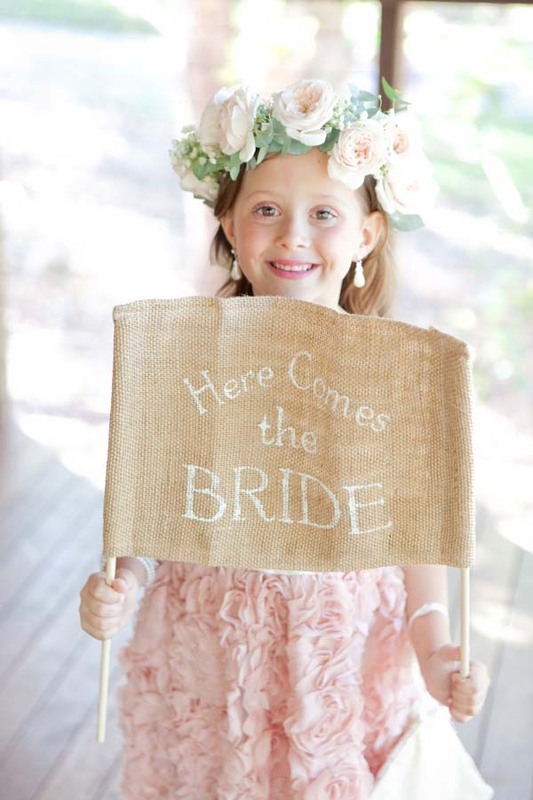 Oh and that cute little flower girl with her special sweet sign, of course a floral feature hair garland just made her shine! 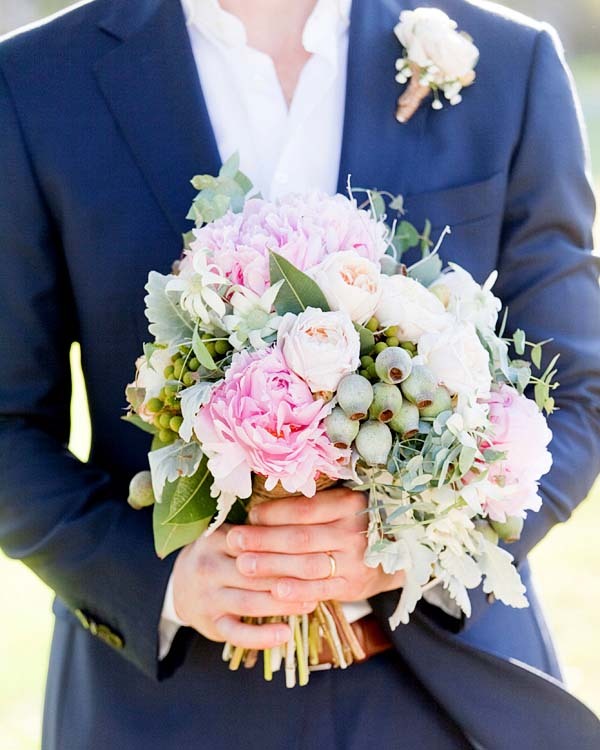 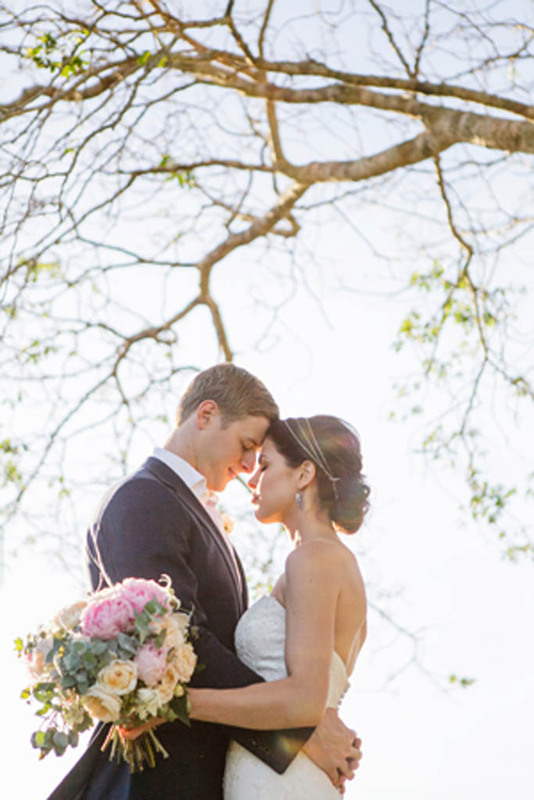 The dashing groom wore a French navy suit and our sweet rustic inspired buttonhole completed his look perfectly! 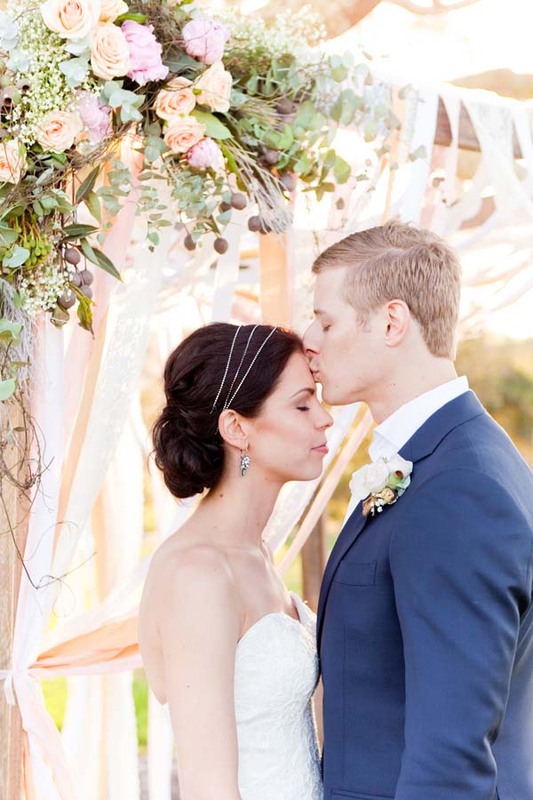 As he waited for his gorgeous bride to arrive, a wooden canopy with floating pastel ribbons had every guests attention, and the floral feature we positioned on one corner sat scrumptiously amongst the whimsical colour and the cool summer breeze! 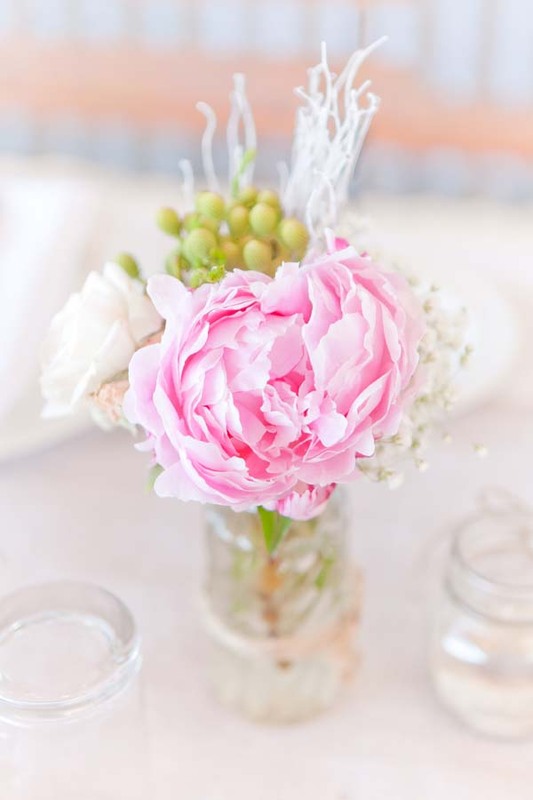 Chair jars of peonies and flowering fillers featured on the eclectic array of timber chairs, and the reception tables also featured mis-matched French jar designs and included peonies, David Austin roses, gum nuts flannel flower, berries and baby’s breath and a sweet Rosemary feature was placed on each guest setting! 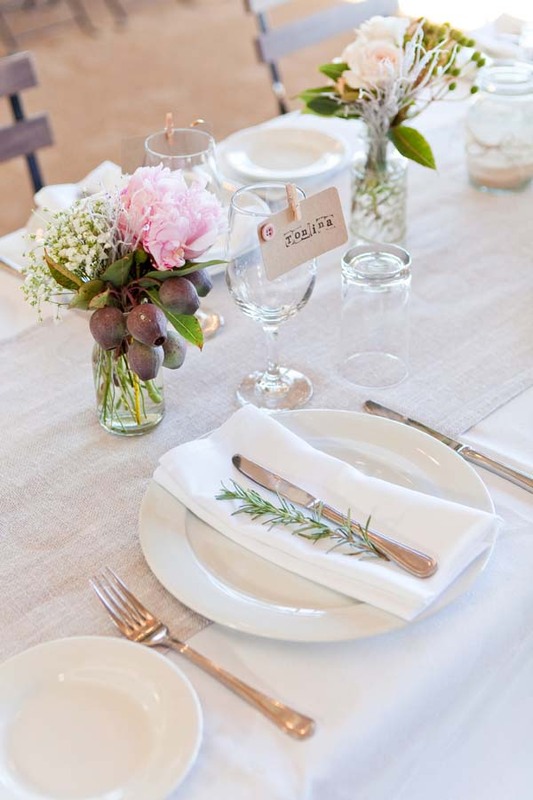 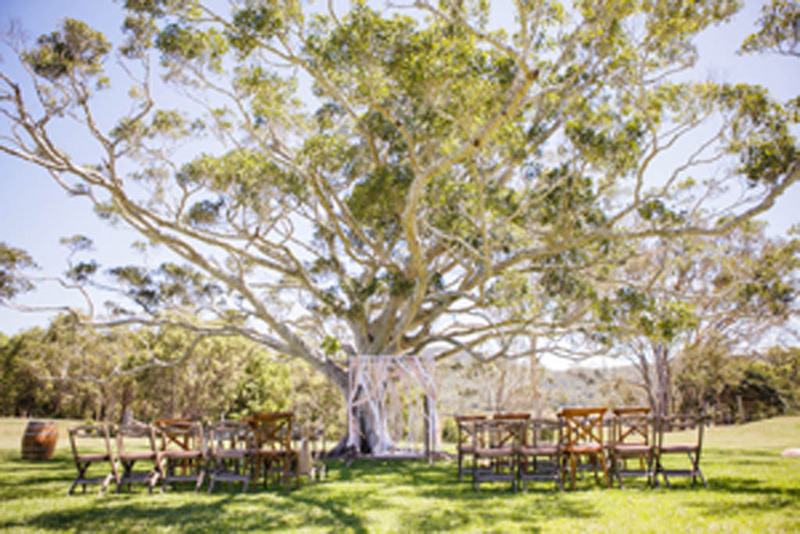 The timber canopy, ceremony seating and reception décor that included tea-lights, name tags and linen runners were provided by the team at Lovebird Weddings.